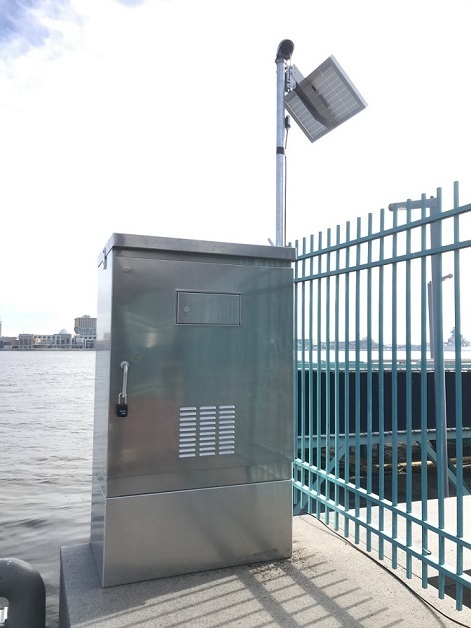 LOCATION.--Lat 39`57'14", long 75`08'16", Philadelphia County, Hydrologic Unit 02040202, on right bank at river end of pier 12, 150 ft upstream from Ben Franklin bridge, and at Philadelphia. PERIOD OF RECORD.--August 1949 to current year. SPECIFIC CONDUCTANCE: November 1963 to current year. pH: October 1967 to current year. WATER TEMPERATURE: November 1960 to current year. DISSOLVED OXYGEN: October 1961 to current year. GAGE.--Water-quality monitor interfaced with a data collection platform. COOPERATION.--Funding for the operation of this station is provided by the Delaware River Basin Commission, City of Philadelphia, Water Department and the U.S. Geological Survey. REMARKS.--Prior to July 1988, located on edge of pier 11 about 300 ft downstream of pier 12. Further information on this station is given in U.S. Geological Survey Water-Supply Paper 1809-0. Data collection discontinued during winter months. Other interruptions in the record were due to malfunctions of the pump or recording instrument.